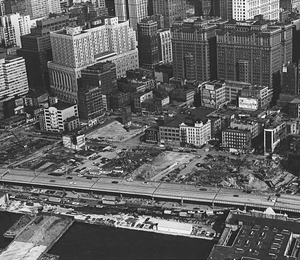 Prior to the original plans of building the WTC in Lower Manhattan, contractors excavated 1.2 million cubic feet of earth excavated for the area, which then was used to create 23.5 acres along the Hudson River that became Battery Park City. 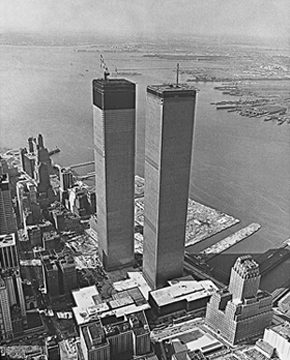 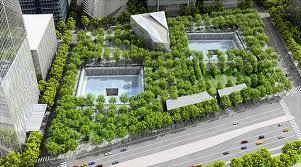 Originally the WTC was a 16 acre superblock of 164 buildings razed down, which closed off 5 streets during the early 60s. 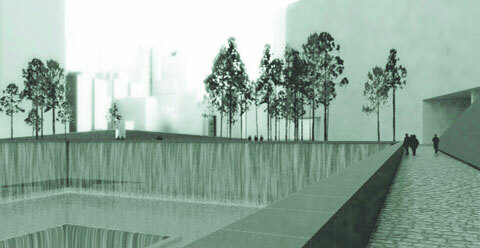 The new WTC (by SOM) is recreating usage of those “lost” streets in order to improve a better transportation and urban connection with the rest of Lower Manhattan.